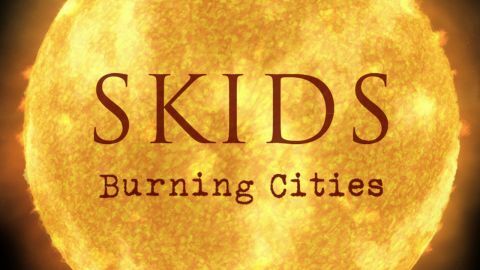 Celebrating four decades since they formed in Dunfermline, the Skids storm into the valley of the reunion circuit – as they first did ten years ago – with an album that seems determined to show they can still jump up and down. Produced by Youth, it’s a routeone volley of loud guitar riffs and peripatetic punk energy, railing at the establishment. It’s our world, they roar, and it’s on fire, so let’s not go gently. It’s almost a relief when they drop the tempo for the artier broodings of Refugee, but make no mistake, this is generally so rowdy that you half expect them to yell “Albert Tatlock!” at any moment. Original members Richard Jobson and bassist Bill Simpson are now joined by Big Country man Bruce Watson and his son Jamie on guitars, with Mike Baillie drumming. Post-punk? The Armoury Show? Un film de Richard Jobson? Forget it. This is old-school protest.